Carolyn Betty Jean Young, born August 1, 1947 in Memphis, TN, went home to be with her Lord Jesus on Friday, January 18, 2019. Carolyn was preceded in death by her parents, John and Octavia Young, her sister, Rachel Miles, and her brothers: John, Wilbur, James, Lorice and Donell. 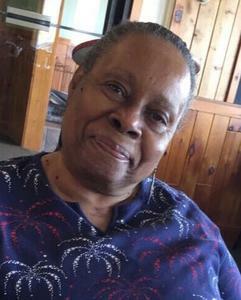 Carolyn leaves to cherish her memory, 3 children: Evangelina, Sophia and James Young of Holland, MI. 2 brothers: Calvin (Mary) (San Antonio, Texas) and Maurice Young (Holland, MI), 3 sisters: Maxine Graham (Chicago, IL), Alean and Barbara Young (Holland, MI); 5 grandchildren: Devin, Bria, Gabriella, Natasha and Kassianna, and 3 great-grandchildren: Mekhi, Morris and Gabriella. A host of nieces, nephews and cousins, her extended family (Mother Ruth Brown and her children), and friends: Grace, Lucy, Sylvia and the lovely Sandy Voss. Carolyn’s wake will be held on Friday, January 25, 2019, from 6pm-8pm, at Dykstra Funeral Home-Downtown Chapel, 29 E 9th St. Holland, MI 49423, and from 11am-12pm prior to the service at the church on Saturday. Her funeral will be held on Saturday, January 26, 2019, at 12pm at Maple Avenue Church & Ministries, 427 Maple Ave. Holland, MI 49423. She will be laid to rest at North Holland Cemetery.